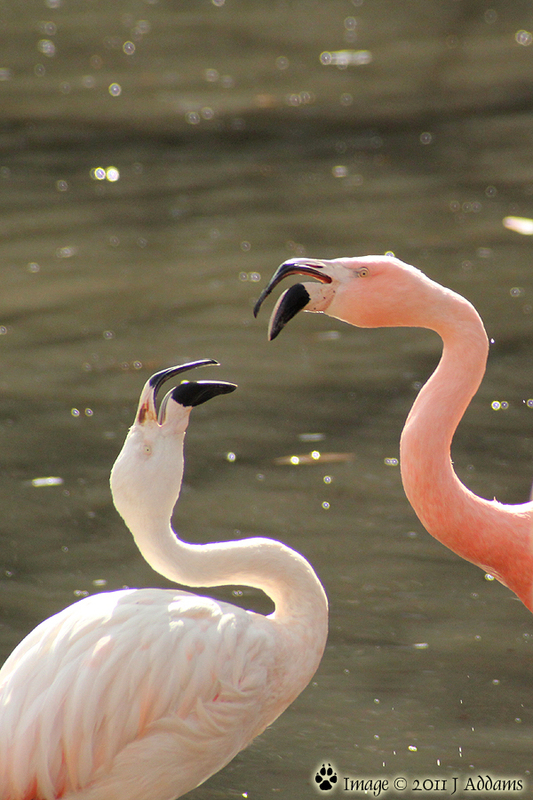 I am a multi-talented writer, media designer, and animal behaviorist currently located in Orlando, Florida. 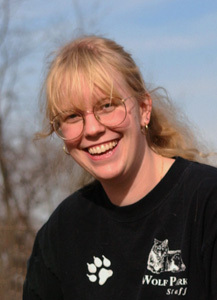 I have 10 years of experience working at a not-for-profit wildlife facility doing just about everything: handling socialized exotic canids; preparing promotional materials; purchasing and design for a gift shop; organizing special events; web design; technical writing; and even digital photography. In fact, I still volunteer there, doing their advertising, calendar, and web site: check it out at www.wolfpark.org! 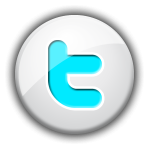 Currently, I am a graphic designer and administrator at Stages Plus in Orlando! 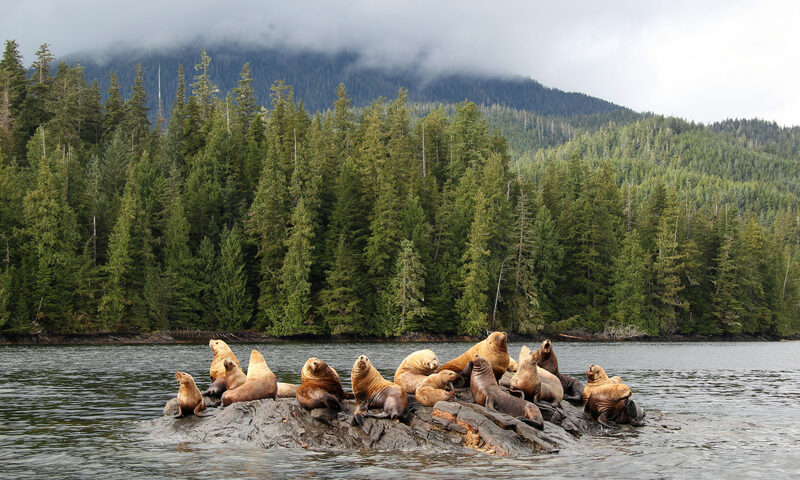 My goal is to obtain long-term employment working with or near animals in a creative, administrative, bookkeeping, training and/or husbandry capacity. 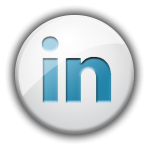 Please click here to see my online resume! 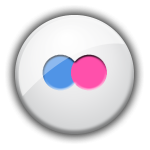 I am in search of employment in a capacity where I am challenged to expand my horizons, where there is always something new to learn, and where I can do some good in the world. 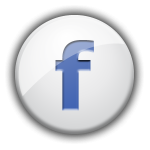 If you are in need of an animal behaviorist, animal handler, dog trainer, technical writer, photographer, etc., please contact me at jessaddams (at) gmail (dot) com. Working at Wolf Park provided a great deal of opportunity for creation of trade publications, including in-house operating documents, educational flyers and publications, and editing the Park’s Wolf Ethogram (a sort of “wolf-to-English dictionary” for researchers). All About Wolves is a children’s book intended to be a general introduction to wolves, their behavior, and behavioral research like that performed at the Park. 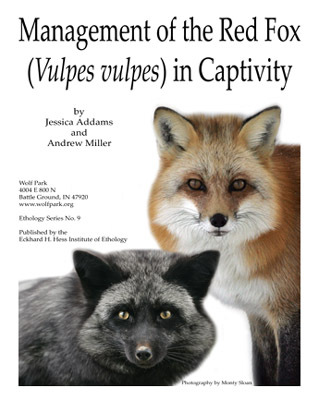 Management of the Red Fox was written as an instruction manual for facilities wishing to emulate Wolf Park’s socialization and handling techniques in their red fox husbandry practices. These two publications are available through Wolf Park’s online gift shop. 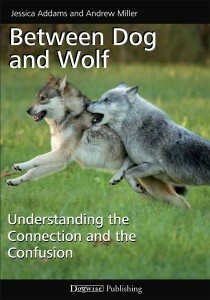 Between Dog and Wolf is intended to provide laypeople and professional alike with background information and ideas for handling animals presented to them as “wolf hybrids”. 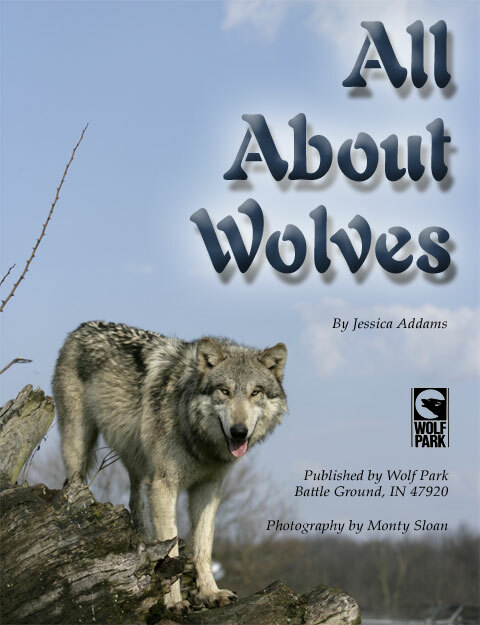 It is published through Dogwise Publishing and is available for purchase through Amazon, as well as through the Wolf Park online gift shop. In addition to these publications, I was also responsible for the production of Wolf Park’s quarterly newsletter, Wolf Park News, for eight years (1999-2007, 2016-present). 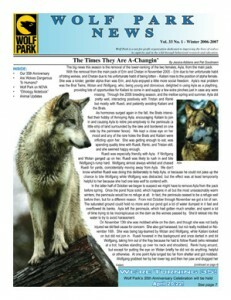 This eight-to-sixteen-page newsletter is distributed to Wolf Park’s members and sponsors and is featured in the Park gift shop. 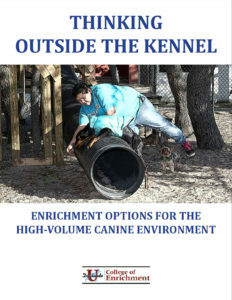 More recently, I have been responsible for in-house publications for the University of Doglando, including training manuals, SOPS, organizational posters, and the in-progress publication Thinking Outside the Kennel, describing enrichment options for dogs in doggy day care environments.